Collins Booksellers - Dictionary of Plant Breeding, Second Edition by Schlegel, Rolf H. J., 9781439802434. Buy this book online. by Schlegel, Rolf H. J.
Arguably one of the oldest scientific traditions, plant breeding began in Neolithic times, with methods as simple as saving the seeds of desirable plants and sowing them later. It was not until the re-encounter with Mendel's discoveries thousands of years later that the genetic basis of breeding was understood. Developments since then have provided further insight into how genes acting alone, or in concert with other genes and the environment, result in a particular phenotype. From Abaxial to Zymogram, the Dictionary of Plant Breeding contains clear and useful definitions of the terms associated with plant breeding and related scientific/technological disciplines. This second edition of a bestseller defines jargon, provides helpful tables, examples, and breeding schemes, and includes a list of crop plants with salient details. Packed with data and organized to make that data easy to access, this revised and expanded reference provides comprehensive coverage of the latest discoveries in cytogenetics, molecular genetics, marker-assisted selection, experimental gene transfer, seed sciences, crop physiology, and genetically modified crops. A complex subject, plant breeding draws from many scientific and technological disciplines, often making it difficult to know the precise meanings of many terms and to accurately interpret specific concepts. Most dictionaries available are highly specific and fragmentary. 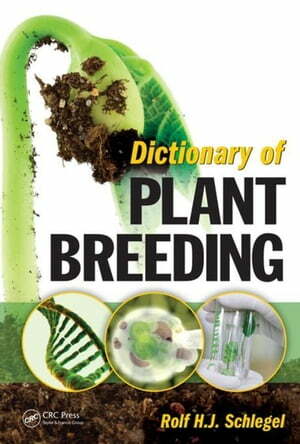 As in the previous edition, this dictionary unifies concepts by including the specific terms of plant breeding and terms that are adjusted from other disciplines. Drawing on the author's 30 years of experience, the dictionary provides an encyclopedic list of commonly used technical terms that reflect the latest developments in the field.